Wade Louis Hampton 72 of Norwood died Thursday morning, March 21, 2019 at his home surrounded by family and friends. A service to celebrate Wade’s life will be held 2:00 PM Saturday, March 30, 2019 in Edwards Funeral Home Chapel in Norwood. A reception and visitation will be held following the service at the funeral home. Wade was born February 18, 1947 in Washington DC to the late Archie Wade and Josie Williamson Hampton. He was raised in Scotland County where he was an Eagle Scout and a graduate of Laurinburg High School. He served in the United States Air Force and was a veteran of the Vietnam War. He earned a B.A. in Business from St. Andrews Presbyterian College and worked in textile management for more than 25 years. He is a member of First Presbyterian Church of Greensboro. 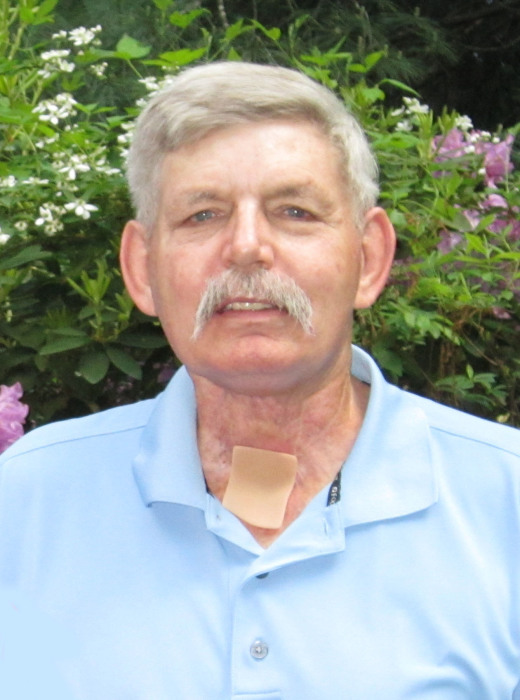 Wade was a board member and past president of the International Association of Laryngectomees. He was a passionate advocate and spokesperson for Tobacco Prevention in middle and high schools across North Carolina. He served as a guest speaker for D.A.R.E, the American Cancer Society, and NC Health and Wellness Trust Fund Programs. He is survived by his wife of 25 years, Katherine Lee Hampton. Four children, Caroline Elizabeth Hampton of Salisbury, Caitlin Elizabeth Hampton, David Wade Hampton and Matthew Louis Hampton all of the home. One sister, Mary Jo Hampton Watson of Charlotte. Three grandchildren, Cathryn Elizabeth Lackey, Hannah Leigh Howell, and Hunter Anthony Howell. One great-grandson, Logan Anthony Howell.